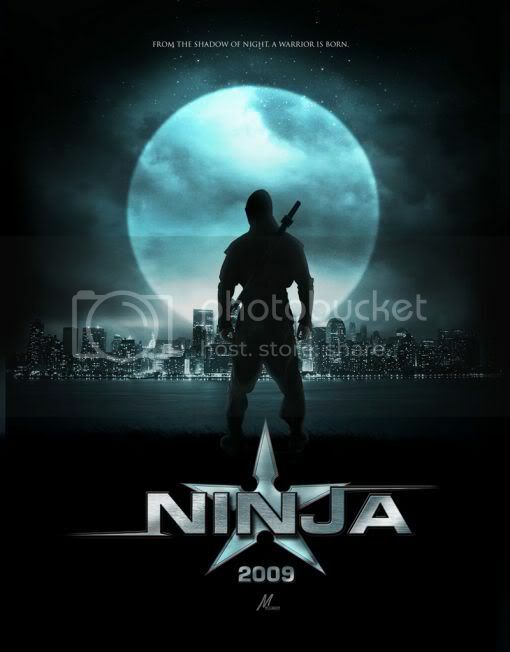 It’s hard to believe that two movies with the word “ninja” in the title came out in the same year, and were both made in the same country. 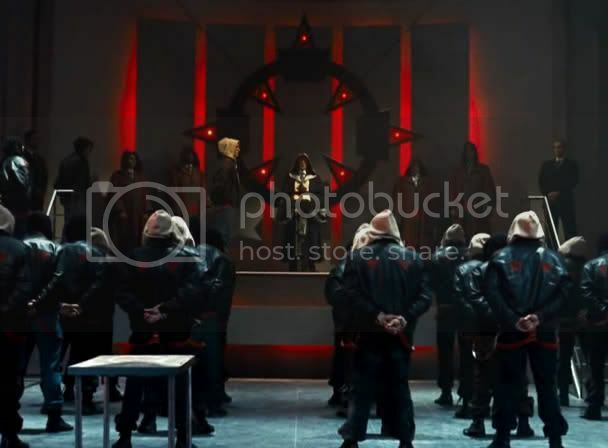 Indeed, while Ninja Assassin [reviewed here] went over the top with CGI blood and absurd violence, Ninja feels a little more credible in terms of story and characters. Granted, its primary ninja looks more like a cyborg assassin or Batman than a martial arts expert, but don’t let that detract from the experience. Scott Adkins stars as Casey Bowman, an American who has grown up in a dojo his whole life. I wasn’t familiar with Adkins either, but a quick glance at his filmography turns up small parts in blockbusters like X-Men Origins: Wolverine, The Bourne Ultimatum, and the lesser-known Unleashed. Casey has spent his life studying martial arts, and as time goes on his sensei decides he will be the next leader of the dojo. This decision angers Masazuka (Tsuyoshi Ihara), who has also been raised in the dojo, views the sensei as his own father, and feels that he has been deprived of his birthright. His anger leads to him being expelled from the school. He is not out of work for long, however, as he soon finds a life as a leading assassin for an evil corporation. After completing a high profile assassination Masazuka finds himself in need of the Yoroi Bitsu, an ancient box filled with ninja weapons from centuries past. The sensei, who has been the guardian of the box for years, sends it to New York for safe keeping, figuring that Masazuka will come after it. As protection for the box the sensei also sends his daughter, Namiko (Mika Hijii), and Casey. Namiko has evidently been training to be a ninja, but as she and Casey find themselves pursued in New York by Russian gangsters she becomes rather worthless in a fight. 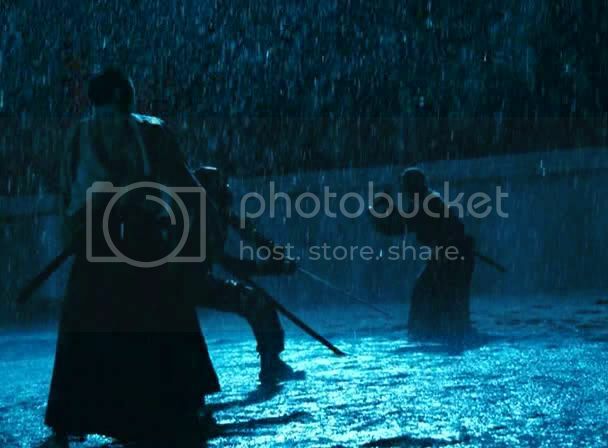 Along the way there are numerous fights involving ninja weapons, katanas, pistols, machine guns, and a bow. There is a lot of punching, kicking, slicing, and shooting. This is, after all, a throwback to the “classic” action movies of the 1980’s and 1990’s, and it succeeds admirably. One might be reminded of Saturday morning kids’ shows while watching this film. The action sways between exciting and cheesy, with any serious moments being accompanied by an epic orchestral score reminding the viewer how dramatic the scene is. This shouldn’t come as any surprise, considering that director Isaac Florentine has directed over a dozen Power Rangers episodes. This knowledge makes the film even more impressive, actually, considering just how well the action scenes work. They are all smartly choreographed and well-photographed. 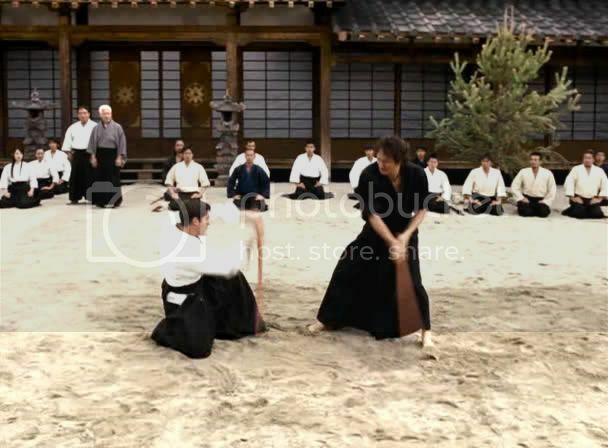 The camera remains static throughout much of the action, showing that the actors (including Adkins) actually do have martial arts training. This is something missing from almost every big-budget action film these days, as the recent trend is to cut shots together rapidly to conceal the fact that the actors have little martial arts expertise. Ninja turned out to be a surprisingly enjoyable film. It is cheesy and hokey at times, but so are the best of the mindless action flicks. I enjoyed being able to see what was happening as the ninjas sliced through a room of people, courtesy of some smart directing. The acting is better left unmentioned, and though the dialogue isn’t atrocious it is certainly not anything to write home about. If you happen to be at the video store someday looking for a movie that contains ninjas and fighting, you could do a whole lot worse than Ninja. You might even be a little surprised. This entry was posted in 2.5 stars, 3 pirate flags, Movie Reviews, N on December 19, 2009 by Tim Irwin.